Amena Caladharas. Born 6519. Amena (which means “honest woman” in gaelic), is the daughter of Thorongil Caladharas. She was killed back during the first House War in the year 6547. She was 28 years old when she became pregnant with her only child Thorondor Ian Caladharas, and died due to injuries sustained in the Sombra Bombing when Ian was a month old. I love the building … it looks ornate with a touch of antique. Spandau Prison (which is what this section is modeled off of) looks pretty dang close internally. What old prison is that modeled after? 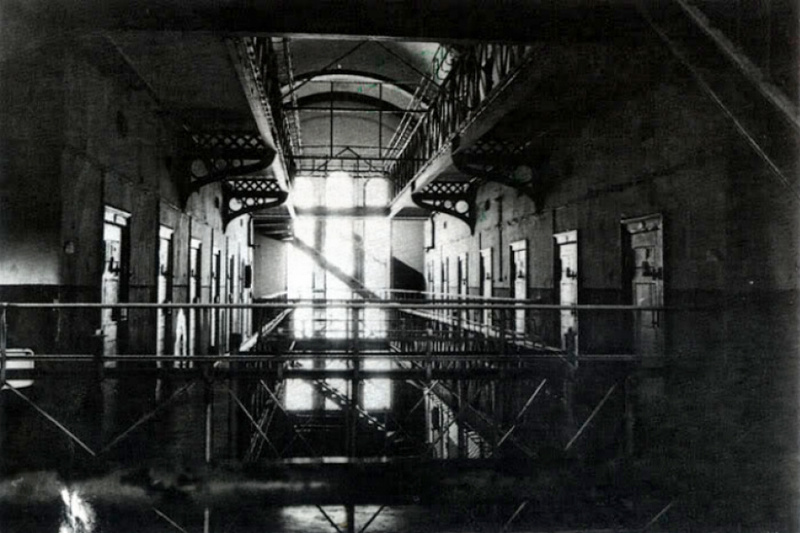 Though from the few pictures I was able to find, Spandau Prison had a similar look.